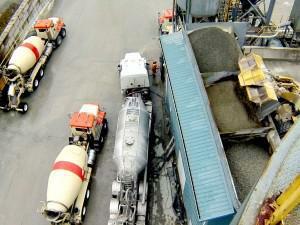 An independent, family owned and operated, ready-mix concrete company serving the lower mainland of British Columbia. Located in Metro-Vancouver, Coquitlam Concrete (1993) Ltd. is an independent, family owned and operated, ready-mix concrete company producing ready-mix concrete and precast concrete products. By using our own aggregate source Coquitlam Concrete is able to produce various design and strength requirements as well as extreme specification demands. Serving the lower mainland of British Columbia, Coquitlam Concrete operates a fleet of mixer trucks, a ready-mix concrete plant and a precast yard. 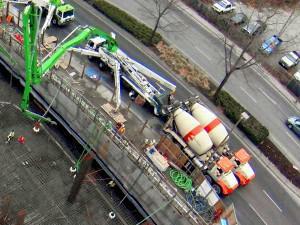 Some major projects supplied by Coquitlam Concrete can be found in our projects section. Coquitlam Concrete is an environmentally conscious company using self-contained wash-out systems and spill protection equipment. Drivers and staff have the ”environment first” attitude. 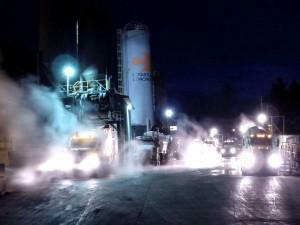 Coquitlam Concrete is committed to providing a safe environment for its employees, customers and the general public. Batch plants are built and maintained to the highest standards ensuring consistency of product quality and safety of employees. © Coquitlam Concrete (1993) Ltd.